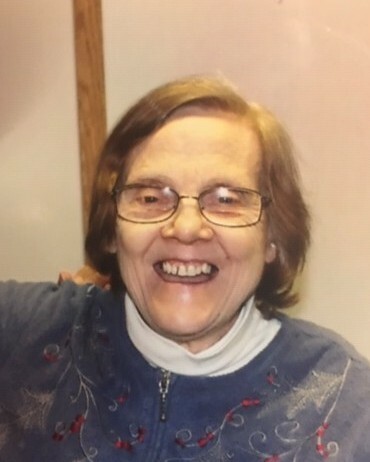 Rosemarie Matty, 75 of Meriden passed away on March 11, 2019 at Midstate Medical Center in Meriden. Rosemarie was born on September 9, 1943, the daughter of the late Wilford and Mary Matty. Rosemarie was retired but loved volunteering at the Meriden Senior Center and attending Senior Center Trips. Rosemarie is survived by her brother, Richard Matty from Bristol, CT. and also leaves her dear friend Robin and all her friends at Helping People Excel. Family and friends may gather at the Bailey Funeral Home 48 Broad Street in Plainville on Thursday March 21, 2019 at 11:00 a.m. with a service in celebration of Rosemarie’s life beginning at 12:00 p.m. Burial will be held privately.